UK private holdings firm Terra Firma has underlined its confidence in the burgeoning North American wind energy market, shelling out a rumoured $350 million to acquire US-based wind farm developer EverPower. 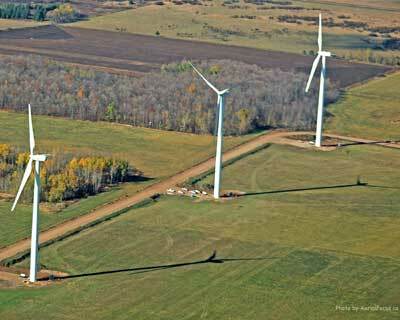 EverPower has wind farm projects under development in Oregon, New York, Philadelphia, and Ohio. The company's previous big cash injection was in 2007, when it secured $55m from investment group Good Energies. While Terra Firma invests in the utility-scale end of the market, small-capacity wind turbine producer Southwest Windpower has also sparked rumours of a forthcoming expansion drive after raising additional investment to move into international markets. The company, which concentrates on residential turbines harvesting up to 3Kw of energy, received an undisclosed sum from a coalition of high profile investors including PCG Clean Energy and Technology Fund, Altira, GE Energy Financial Services, NGP Energy Technology Partners, and Rockport Capital Partners. The deals underline the soaring confidence in the US wind energy market, which is being driven by the introduction of a range of new incentives as part of President Obama's stimulus package, as well as favourable planning regulations. Earlier this month, details of the renewable manufacturing tax credit were released in the US, guaranteeing 30 per cent in write-offs for renewable manufacturing facilities, while a new scheme was also introduced offering renewable energy developers direct Federal funding. Lower than anticipated global demand for raw materials and wind turbines has also reduced the cost of utility-scale investments, which are traditionally capital intensive. According to the American Wind Energy Association, over 4GW of wind capacity was installed in the US in the first half of this year, an increase of 25 per cent on the first half of last year.